If your question is not answered below, please don’t hesitate to get in touch with us! The time it takes for your order to be ready depends on the size of your order and the length of our waiting list. Generally (if there is no waiting list) your order will be ready within a maximum of 10-12 weeks from the date you have paid the deposit. Please note however, that waiting list times vary depending on our number of orders. 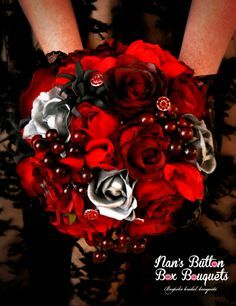 Do you have bouquets I can purchase immediately? 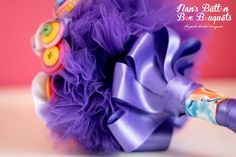 Occasionally Nan’s Button Box Bouquets have ex display stock available for immediate purchase. All items are in excellent condition (otherwise we would not sell them!). Email us through the contact form on the Contact us page. 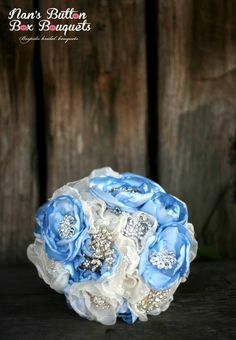 Eeek, my wedding is in three weeks and I really want you to make me a bouquet (and a corsage for Mum)!? 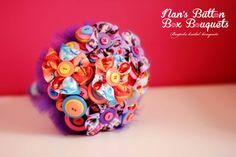 Nan’s Button Box Bouquets can sometimes complete rush jobs. Extra charges may apply. Just email us through the contact form on the Contact us page. Yes. You are required to pay a non- refundable deposit of 20% of you total order, this covers some of the expenses associated with sourcing items for your bouquet. It also locks in your place in our waiting list. Can I pay my order off in instalments? Yes. You need to pay your deposit in full but the remainder can be paid in instalments. 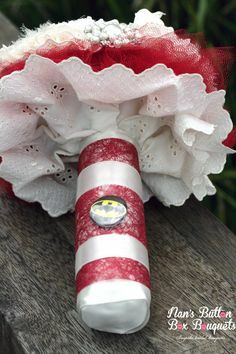 Can I provide my own items to go in my bouquet? Absolutely! 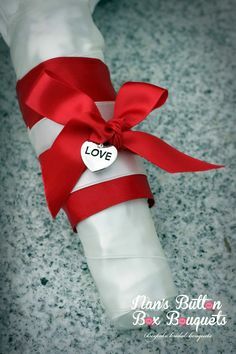 We love it when brides give us that little something special to go into their bouquet. 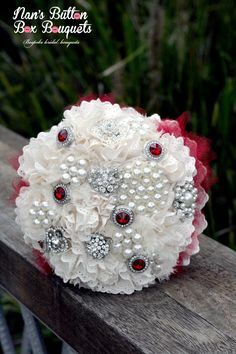 Things such as photos, brooches, jewellery, fabric or buttons can all be used in your bouquet. Depending on the amount of items supplied we can also organise a discount. Please note that some items you provide cannot be removed from the bouquet. 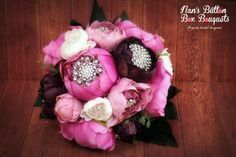 Nan’s Button Box Bouquets are located in Sydney, New South Wales. Can I come and meet with you? Yes! You are more than welcome to come and have a cup of coffee and a chat. Please contact us to arrange an appointment. We use Australia Post. All items are registered post. Postage depends on your location and the size and weight of your package. How should I store my bouquet or buttonholes? You can store them anyway you like, just as long as you keep them free from moisture and extreme heat. 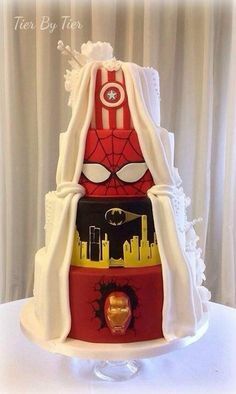 Why not put them on display in your home? All our items are packaged in lovely storage boxes if you would like to keep them hidden away and free from dust. I want to place an order, how do I do it? Just send us an email through our contact form on the Contact us page. If you would like to speak to a real person just give us a call on 0434 922 391.